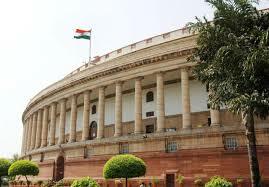 The Union Cabinet chaired by the Prime Minister, Narendra Modi, on 29th October gave its approval to introduce the School of Planning and Architecture Bill, 2014 in the Parliament to bring all three Schools of Planning and Architecture(SPAs) within the ambit of the School of Planning and Architecture Bill, 2014. The Bill would adhere to Government policies on reservations fromtime to time. The proposed Act will empower these Schools toaward degrees through an Act of Parliament. This would enable the School of Planning and Architecture to become centres of excellencelike IITs, NITs and help fulfill the need of the country for quality manpower in the field of architecture and planning. All the money spent from public exchequer will be accountedfor and audited by the Comptroller and Auditor General ofIndia. Annual Report and Audited Accounts of each SPA willbe placed before Parliament.